You are alone in the middle of the wilderness, you haven’t seen another person for the last several days of trekking, and you are lost because the snow fall has covered the trail. Sometimes your feet sink so far into the deep snow that you start to panic you won’t be able to get yourself out. You are exhausted, you are hungry, it’s getting dark, and you don’t know where you can safely camp. For many of us, this is a scenario we could never imagine encountering and yet for Kimberlie Dame, this is just another day on her 860-mile trek along the Arizona Trail. While most technomads will take a car, bus, or train to get to a serene outdoor destination, Kimberlie walks. She has undertaken a number of long treks in the USA, Scotland, and Wales but the Arizona Trail has been by far the longest. 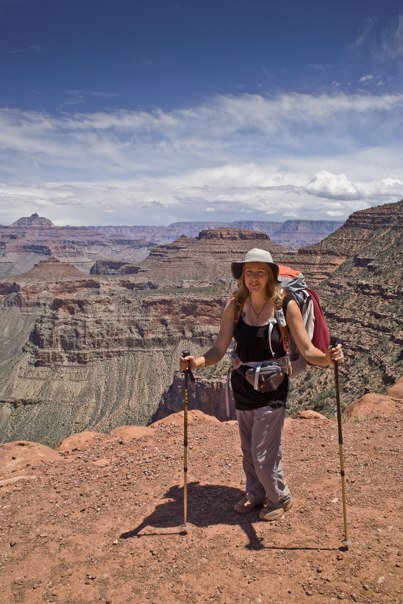 She is now in the process of preparing for a year-long journey over the Pacific Crest Trail, Pacific Northwest Trail, and Continental Divide Trail, a total of 6,950 miles. Her nomadic experiences and walking adventures teach us about the value of finding inner transformation through traveling at a slower pace. 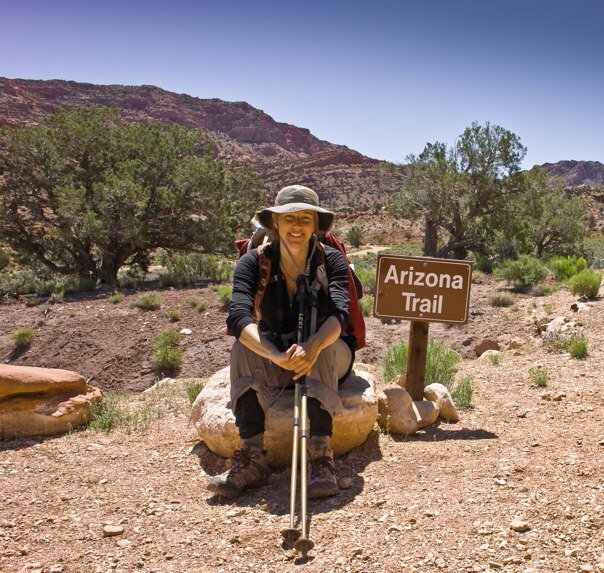 In March 2010, Kimberlie embarked on a life changing experience: 10 weeks of walking 860 miles in isolated and rugged wilderness terrain, mostly alone, on the Arizona Trail. Prior to the start of the trip, three amazing experiences of financial serendipity occurred within a short period of time. A man, who she barely knew, gave her funding for the trip because he enjoyed her writing on trekking and wanted to support her, another individual gave her funding for a new laptop, and a buyer for her house suddenly appeared and paid her extra to have the house right away. Kimberlie was blown away by their generosity and gained a new level of self-trust with following her passions. Kimberlie was forced to face her fears during this expedition. She explained, “I had to confront some pretty intense situations and I wasn’t emotionally prepared for that. By week three I had more fear than I did when starting.” For example she encountered snowstorms that covered the trail (as described above), was nearly shot by a crazed-man in the middle of the desert, and ran out of water on a 110° F day. By the end of the trip, she realized that she could not go back to her old life. Fortunately, an exceptional opportunity presented itself. A Scottish man Kimberlie met on the trail invited her to stay with him in his home country, an opportunity she found irresistible. She returned to Sedona, Arizona, to sell her businesses and most of her possessions. She packed her backpacking gear and a carry-on bag of clothes, and left for Scotland several weeks after finishing the Arizona Trail. She had an amazing 6 months in Scotland trekking, learning about wilderness survival, and enjoying the experience of living in a new country. In February 2011, Kimberlie returned to the USA, this time settling in New York. When asked why she decided to move to NYC, she shared with a chuckle, “because that was where my plane landed.” Having run low on finances in Scotland and being open to give city-life a chance, she settled in New York to refinance, refuel her passions, and contemplate her next big trip. The past few months she has been working, exploring the city, and preparing for her upcoming year-long adventure that is planned to start in May 2012. “Put yourself in situations you are uncomfortable with. Continually do things you would normally be uncomfortable doing,” Kimberlie advises. When faced with challenging situations, she recommends her mantra: “There is no way out but through it.” For those of us who want to create our nomadic journeys, we must face our fears and boldly go forward into the unknown. Kimberlie’s experiences offer an excellent illustration of how we can be transformed through a nomadic journey of slow travel, one step at a time.